Three men have been arrested on suspicion of a total of 24 counts of burglary in Wolverton, Stony Stratford and Greenleys area. 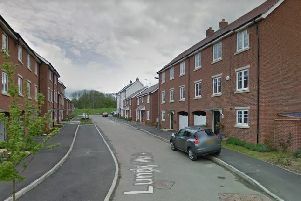 All three men, who all live in Wolverton, have been released on police bail pending further investigations. MK crime spree culprits caught? Meanwhile police are appealing for witnesses following the spate of burglaries, which was reported in the Citizen earlier this month - READ MORE HERE. Investigating officer Detective Constable Sebastian Kuzoe said : "Since November 2018, there has been an increase in burglaries of local businesses in the north of Milton Keynes; including shops, chemists, hairdressers and restaurants. The offences are generally taking place between midnight and 6.30am and items including tills, cigarettes and charity collection pots have been stolen." Police enquiries suggest the offences are being committed by a group of offenders who travel on foot and on bicycle and that different combinations of individuals from this group commit each offence. DC Kuzoe said: "I am appealing for anyone who has any information regarding these offences or has witnessed any suspicious behaviour that they feel may be relevant. Any information or suspicious incident could be the last piece of the puzzle we need to identify these offenders. "These crimes are upsetting and frustrating for the hard-working business owners affected." If you own or work in a business in the area, you can find advice on how to protect your business from burglary online here. * A 34-year-old man has been arrested on suspicion of 13 counts of burglary. Another 34-year-old man was arrested on suspicion of four counts, and a 40-year-old man was arrested on suspicion of seven counts.